Spirits Balvenie Single Malt Scotch 14 Year Peat Week American Oak Non Chill Filtered 2003 Vintage - Royal Wine Merchants - Happy to Offer! 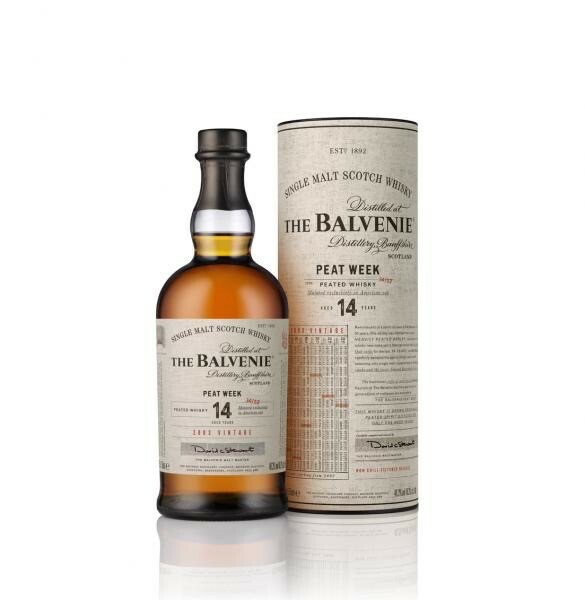 While Balvenie is best known for producing traditional soft and honeyed Speyside whisky, for one week a year it makes bold and smoky whisky – Peat Week. This second release was distilled in 2003 and bottled in 2018 at 14 years old. The distillery uses Speyside peat, giving the whisky a very different character to smoky drams from the island: delicate and gently smoky.